August is Drive Aloha Month! To celebrate, I was fortunate to receive a bunch of goodies from Drive Aloha to help spread awareness of how Drive Aloha helps to encourage safety amongst not only Hawaii's drivers, but also to pedestrians and cyclists. There are lots of great tips to help prevent distracted driving, information on safe driving, and so much more. 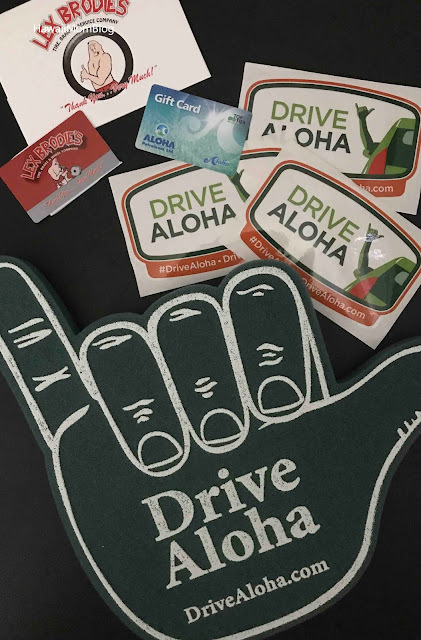 Visit Hawaii Mom Blog on Instagram to enter to win a Drive Aloha Prize Pack consisting of: 1 $25 Aloha Gas Gift Card, 1 $25 Lex Brodie's Gift Card, 1 Drive Aloha Window Cling, 1 Drive Aloha Sticker.